Should I Update My House Before Selling? Have you ever found yourself watching one of the popular home improvement TV shows where someone trying to sell their house spends a substantial amount of money and time renovating their house to sell it for more than it was originally worth? It seems like this trick always pays off when the end of the TV show plays and the sale price of the home is dramatically improved, doesn’t it? Be careful not to fall into the trap of thinking that an extensive home remodel is the way to go when you decide to list your home for sale! Don’t get us wrong, there are several renovations that can and should be done to make sure that you get top dollar for your home, but there is definitely a fine line that you should be careful not to cross because there is a potential to lose money if renovations are overdone. Let BN Realty at Keller Williams share our experiences when it comes to home renovations prior to listing homes for sale. Small and carefully calculated renovations prior to listing a home for sale are typically essential if you want to receive a competitive offer from a buyer. Replacing carpet, repainting the walls and trim, and fixing anything that is apparently broken upon a showing may seem like no brainers to some sellers; however, to others they will decide to leave everything the way it has been for years. This works for some, but the vast majority of buyers in today’s market want a move in ready home. If they walk in and immediately see stained carpet or old wallpaper they will also see themselves spending time and money doing these renovations themselves. They may seem like small issues in the grand scheme of things, but they are big enough to turn a potential buyer away from making an offer on your home! Other examples of small renovations that pay off include: replacing outdated hardware on cabinets, cleaning up the landscaping at the front of the house, replacing older light fixtures or faucets, fixing loose shingles on your roof, fixing any leaking pipes or faucets, etc. We promise that these small projects will make a huge impression on most buyers. 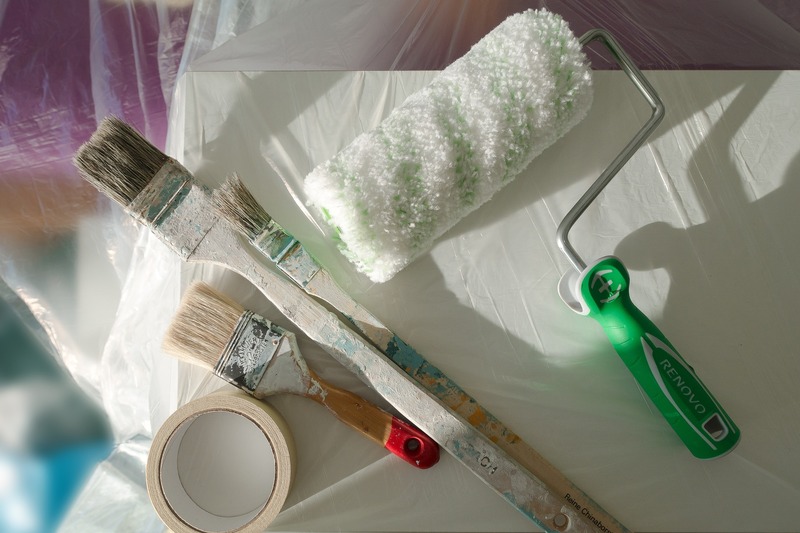 Bigger renovations are a little bit harder to give a straight forward answer on, as it depends on the market that you’re selling in. Take a look at your homes’ competition. Do all the homes in your area have brand new kitchens or completely renovated master suites? If the answer is no, you probably don’t need to splurge on doing these huge projects. On the flip side, if your home is the only one without features like these, you may find that you will get a good return on your investment by doing a little remodeling. Similarly, do you have a roof or air conditioning/heating system that is going to need to be replaced in the next year or so? Some buyers only have enough money for their down payment and monthly mortgage. These buyers will find that it is impossible to come up with the money to make these repairs and won’t be able to even consider putting in a fair offer for your home. Again, these types of renovations should be considered on a case by case basis. Working with one of our agents at BN Realty is a great starting point in deciding what needs to be done to your home before listing it for sale. We will take the time to answer any and all questions that you may have on how to sell your home for the most possible money. We will also help you find the comparable homes to yours and show you what they may be offering or lacking when looking at your home side by side. Please call us right away if you have any questions about selling your home at 309-319-6030!